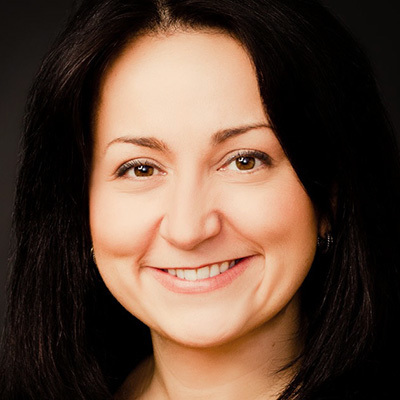 Veronika Sonsev is a retail industry consultant, speaker and connector. She leads the retail practice for Chameleon Collective and is one of the Co-founders of the CommerceNext summit. Prior to Chameleon Collective, Veronika founded and ran inSparq (acquired by Adiant Media), a software company that worked with some of the largest retailers and brands to market their trending products in real time. She has also held senior leadership roles at Jumptap (acquired by Millennial Media) and AOL, and has experience launching to international markets, building new business lines, and developing strategic partnerships. Veronika is an active advocate for women in business, and in 2009, she founded the global non-profit Women in Wireless, which now has over 12,000 members and 10 chapters around the world. Recognized as a thought leader and industry expert, Veronika has spoken at dozens of retail conferences, including Shop.org Digital Retail Summit, FashionDigital and Goldman Sachs dotCommerce Day, contributed to a number of business publications, such as Inc., Forbes, Business Insider, and Retail Touchpoints, and been interviewed by NPR, the Wall Street Journal, and TechCrunch. Her success as an entrepreneur combined with her support for women in the digital industry has led Fast Company to include her in its League of Extraordinary Women and TechWeek to name her as one of the Top 100 digital leaders in New York. Veronika holds a B.A. in Economics and Russian Studies from American University and an M.B.A. from the Wharton School at the University of Pennsylvania.